The police seem to have an uneasy relationship with Twitter. While accounts such as @MPSInTheSky attract legions of followers and brilliantly balance updates on activity with behind-the-scenes insights, the borough level accounts are a bit more hit and miss. Brent’s account is fairly active, for example, but Camden seems to have chosen to tread a much more cautious path. 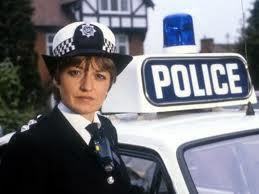 Here in West Hampstead, we had an early adopter in the brilliant @WHLocalPlod with her Juliet Bravo avatar (cultural reference for the grown-ups there), but this was always an unofficial account, even though it was run with the utmost professionalism and integrity. Once she left the Met, there was a gap to be filled. A year later and Sgt. 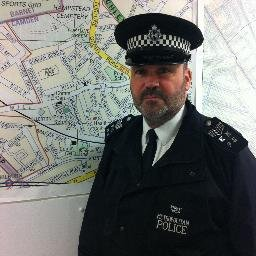 Ian Hutton, the new(ish) Safer Neighbourhood Sergeant for West Hampstead & Fortune Green, today announced his official Twitter account: MPS_WHampstdSgt. He is one of a growing number of Safer Neighbourhood officers on Twitter – all with sanctioned accounts. Hello, I am Sgt Ian Hutton, welcome to the new SNT Twitter account for West Hampstead and Fortune Green. I look forward to tweeting. Getting on Twitter makes a lot of sense from the police’s point of view. It’s a good way of rapidly interacting with the public, especially with so many amplifier accounts out there who can ensure that public information news is disseminated quickly. Of course, all police accounts emphasise that they are not to be used to report crime. This is pretty much common sense. In an emergency, call 999; if it’s not an emergecy, dial 101. West Hampstead Life wishes Sgt Hutton the best of luck with his account. These are testing times for the police, but engaging with the public using the very channels that the public uses itself can only be a good thing. Inevitably they’ll cop some flak, and it’s always easier to abuse someone from the safety of an anonymous account than it is face-to-face. Nevertheless, if we want the police to be more accountable and approachable, getting them using Twitter is a good thing in my book. I hope that the MPS Camden account itself is able to step up and deliver the same sort of service. As I write, at 10.20pm on January 9th, the account hasn’t tweeted since January 2nd.